In an effort to make Skype for Business productive on any device, Microsoft has announced that the new Skype for Business app for iOS devices is now publicly available. According to its blog, the preview on iOS saw a good response and Microsoft claims that the sign in issues that some users experienced with Lync 2013 on iOS 9 have also been resolved. An updated dashboard in Skype for Business iOS brings contact search bar, upcoming meetings and most-recent conversations to one place. Full screen video, larger buttons help manage the call. The user can also view content being shared and the speaker's video simultaneously. With Active Directory Authentication Library (ADAL)-based authentication, IT admins can configure multi-factor authentication for the Skype for Business iOS app. The new Skype for Business iOS app is now available as a Universal app in the iTunes Store. 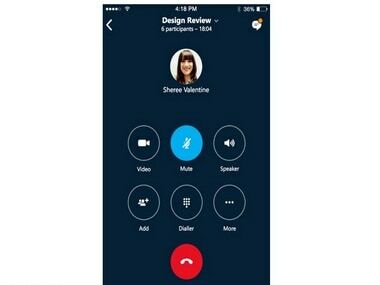 iPhone users with Lync 2013 will automatically get updated to the Skype for Business app. iPad users with Lync 2013 need to download the new Universal app from the iTunes Store.